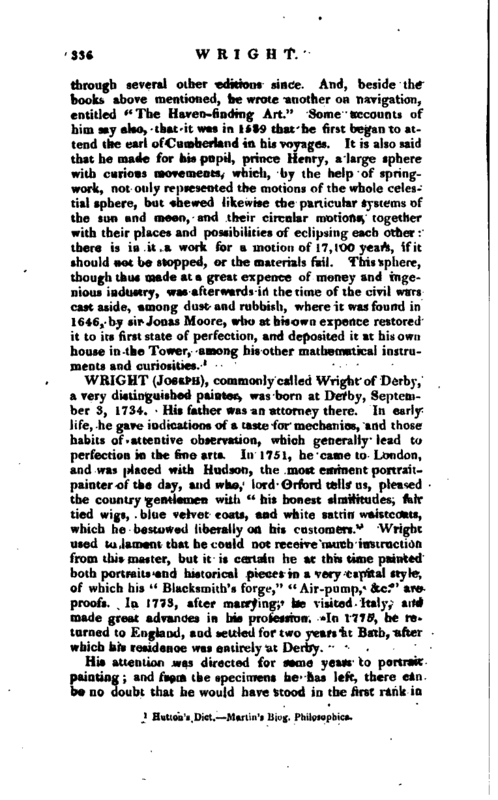 Mr. Wright first dicovered the true way of dividing the | meridian line, according to which the Mercator’s charts are constructed, and upon which Mercator’s sailing is founded. 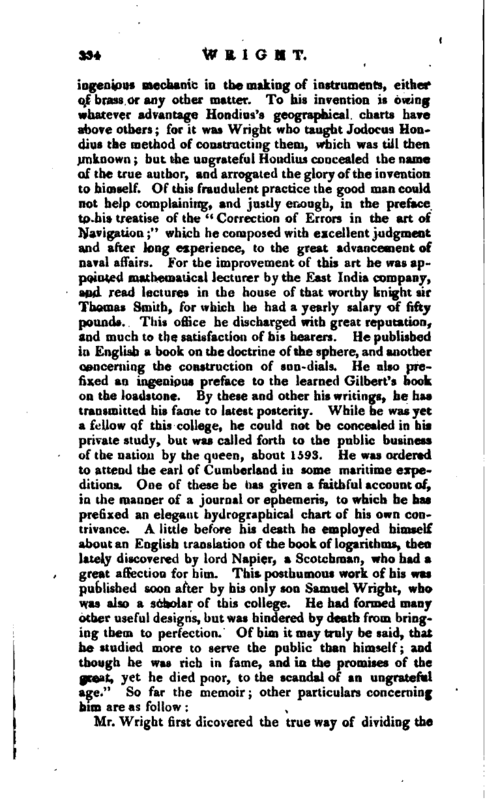 An account of this he sent from Caius college, Cambridge, where he was then a fellow, to his friend Mr. Blondeviile, containing a short tahle for that purpose, with a specimen of a chart so divided, together with the manner of dividing it. Ail which Blondeviile published in 1594, among his “.Exercises.” And, in 1597, the rev. 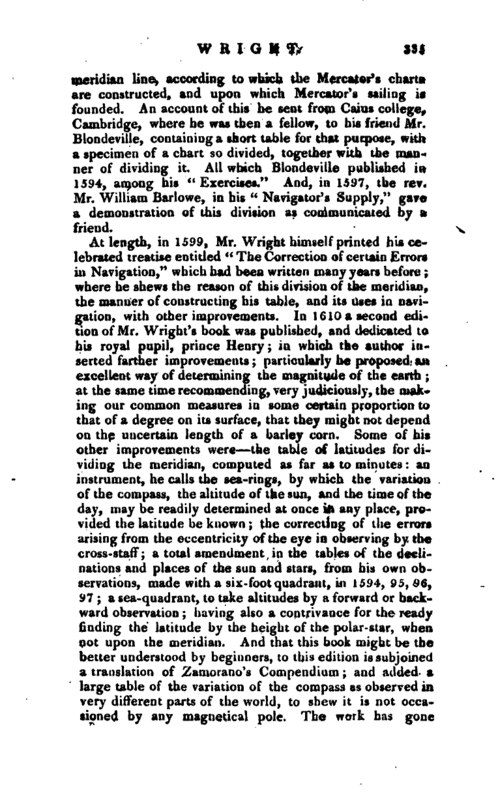 Mr. William Barlowe, in his “Navigator’s Supply,” gave a demonstration of this division as communicated by a. friend. 1 Hutton’s Dict. 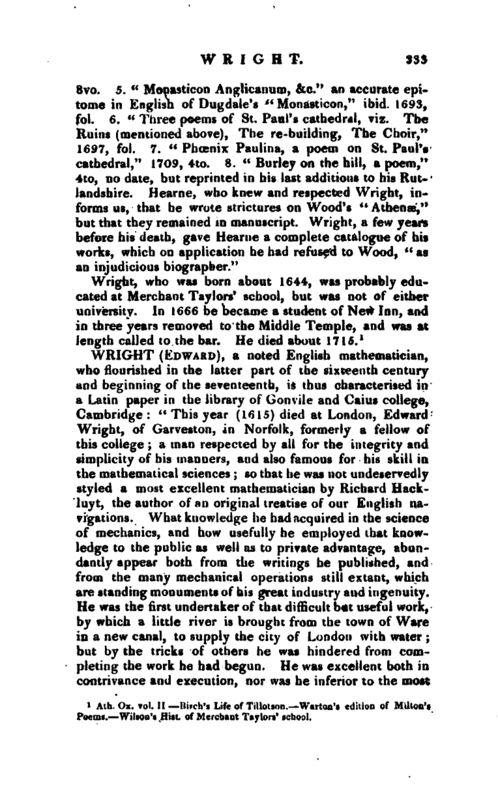 Martin’s Biog. Philosophica.